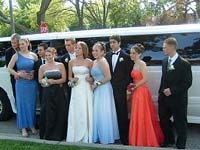 During Prom season, Mike’s Limos pulls out all the stops to bring you the latest and most unique vehicles. For the ultimate experience, consider our STRETCH HUMMER. Seating up to 20 passengers, our hummer is the only one in the area and one of our most popular vehicles for large prom parties. Whether it’s a ride from the airport, or transportation to an event or business function, professionalism is always guaranteed and your clients, staff and VIPs will appreciate the spacious interiors and added amenities. Our corporate vehicles include extended leg room, rear A/C and radio controls. If you are planning to go on a cruise, then we cater to all your transportation needs. 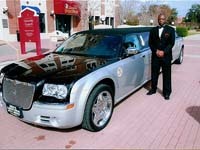 We offer the finest in luxury vehicles from Lincoln Towncars, small or large Limousines and Charter Buses. Our rates are reasonable and our routes are direct with a comfortable ride to all ports in Florida. Why wait in long lines and pay ridiculous cover charges? Let us set the night up for you and save time and aggravation. Avoid the parking hassles and the long walk to your next concert. Let Mike’s Limousine take you right up to the front door and pick you up from there to finish your night after the concert. Enjoy a safe holiday season with your family and friends and LEAVE THE DRIVING TO US! Many of our packages include inside decorations, festivities, and you can bring your own champagne. Don’t forget to enjoy the parade of lights at Christmas time.